In stock - low quantity. Order in the next 7 hours and it will go out today! Leave no doubt about the type of show your audience is there to see with the Tora Magician's Table! This table makes and introduction for you and tells everyone that a magician is coming. 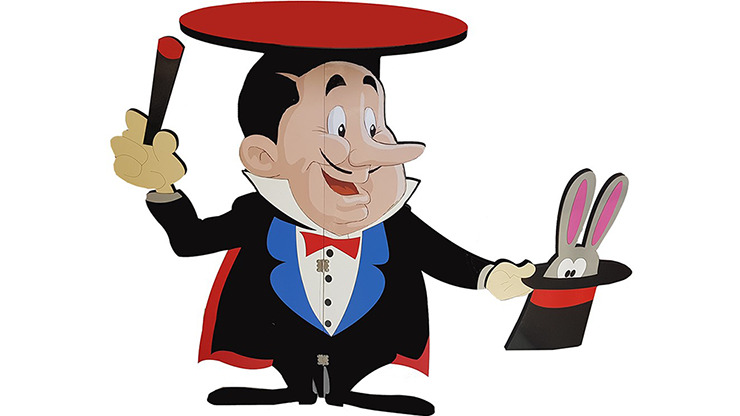 Using an iconic image of a magician in tails with rabbit in hat, this table will serve as a great platform for your magical show needs. Let them know who you are before you hit the stage. Buy yours today!